Dedicated to facilitating the education and trainign of healthcare leaders around the world. Happy Chinese New Year from IHL! 2016 has been an extraordinary year for IHL, thanks to the support of our friends and partners in China. As Chinese Spring Festival is approaching, we wish all of you a very happy, healthy, and fruitful year of the Rooster. We hope 2017 will be just as successful, for both you, and us! Want to hear New Year greetings from IHL mentors in Chinese? Go on and hit play! A very special thank you to our mentors: Prof. Michael S. Sparer, Dr. Anthony R. Brown, and Dr. David P. Roye! On October 21st, 2016, the new session of IHL “Fireside Chats” Sino-U.S. Physician Panel was successfully held at Columbia University Medical Center. The topic of this panel: Big Data & Clinical Practice, was one of the most discussed and interested lately. How should clinical workers incorporate data analytic methods into the improvement of the quality of care? How could clinical benefit from the application of big data science? IHL invited 6 physicians and researchers with different background to join the discussion. 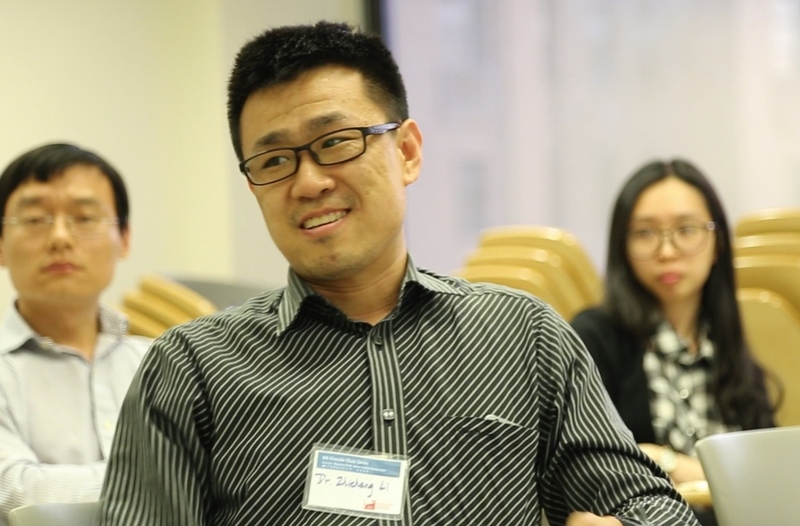 The panel was moderated by Wei Zhou, MPH, Clinical Analyst at NYU Langone Medical Center and Columbia University Alumni. In addition, the meeting was telecast live on the Internet for the first time to allow audiences from across the world to attend. Mr. Handong Ma, Co-Founder of Shanghai Synyi Medical Technology Co., Ltd.
At the beginning of the discussion, Mr. Wei Zhou, the moderator, gave some short yet informative background introduction on the state of the art in clinical big data research. Panelists then shared two cases of they brought from their own departments subsequently to compare the different patterns used to implement data sciences in clinical practice in Chinese an American hospitals. The panel then started a hot discussion on clinical database building, clinical risk assessment, and decision optimization. U.S. professionals also shared their insights into the application of big data in surgical risk assessment. After the discussion, panelists answered several questions raised by the audience. Dr. Guibing Fu, director of orthopedic at Shenzhen Children’s, pointed out that “The model U.S. hospitals built up to assess surgical site infection is a perfect example of how big data can help improve clinical practice. The power of data sciences should be borrowed to solve more clinical problems.” His perspective was well agreed by all the other panelists. “No matter whether we are talking about big data or medical precision data, there is definitely a huge potential we can apply them to improve the quality of clinical care. Yet, we have to admit, there is still a long way to go.” Concluded David P. Roye, MD, at the end of the meeting. Full footage of the panel will be accessible online shortly. Please follow IHL on social medias to keep up with our latest activities. 10 years ago, Dr. David P. Roye Jr. founded International Healthcare Leadership at Columbia University Medical Center in the city of New York to promote physician training in China. IHL's vision and function has evolved during the past decade, but our passion and goal have never changed. Let's hear Dr. Roye tell the story of founding the organization, and describe the mission and goal of IHL. On August 8, 2016, the second delivery of IHL Executive Healthcare Leadership Program was launched at Columbia University Mailman School of Public Health in the city of New York. More than 20 Chinese healthcare leaders attended the course. The delegation consisted of hospital administrators, healthcare industry representatives, and government officials. During their 9-day stay, speakers from New York-Presbyterian Hospital, Columbia University Mailman School of Public Health, Cornell University Weill Cornell Medicine College and many other top institutions gave lectures, seminars and case study sessions to the delegation on various topics in healthcare management including Strategic Management, Quality and Safety, Healthcare Finance and Healthcare IT. The group was also invited for tours in Mount Sinai Hospital, Columbia Family Medicine and New York-Presbyterian Weill Cornell Medical Center to get to know the U.S. healthcare and clinical practice in depth. A Certificate of Completion issued by Columbia University was awarded to each delegate at the end of the course. Compared to the first delivery back in 2014, the refined course structure was able to efficiently deliver theoretical models and practical experience that met the updated demand in Chinese health care. The program was highly appraised by the delegation as well as the faculty. The first Alumni Symposium of the Executive Healthcare Leadership Program is expected to be held in China this fall. On Wednesday evening, August 10th, 2016, the August session of “IHL Fireside Chats” Sino-U.S. Physicians Panel and IHL 10th Anniversary Banquet was held at the historical New York Athletic Club. More than 60 Chinese and American physicians, healthcare professionals and students were invited to attend. The panel discussion was conducted on the topic of " Patient - Centered Care"
Before dinner, an warm opening remark was given by David P. Roye, MD on behalf of IHL to welcome and thank all the guests present. In the speech, Dr. Roye reviewed the achievement of IHL in the past 10 years. Meanwhile, he addressed cultivating health care talents and developing training programs as IHL’s priorities in the future, and reemphasized that IHL will spare no effort in bridging Chinese-American healthcare communication and promoting the development of Chinese public health. A short yet informative panel discussion was then conducted on the topic of “Patient-Centered Care”. Panelists shared the challenges they faced in applying patient-centered paradigm to their practice, and commented on the future trajectory of patient-centered health care in both China and the U.S.. Physicians that sit on the panel include: David P. Roye JR., MD and Heakyung Kim, MD from New York-Presbyterian, Dr. Xinhong Pei from Children’s Hospital of Fudan University, Dr. Xueyang Tang from West China Hospital, Sichuan University, and Dr. Kai Ren from The Second People's Hospital of Shenzhen. At the end of the night, a special ceremony was held to award U.S. Physicians invited with “IHL Distinguished Mentorship” for the help and support they provided to IHL clinical observation program. Joshua Sonett, MD, Chief Surgeon of Thoracic Surgery Department at New York-Presbyterian, gave an inspiring speech upon acceptance on behalf of the awarded clinicians. 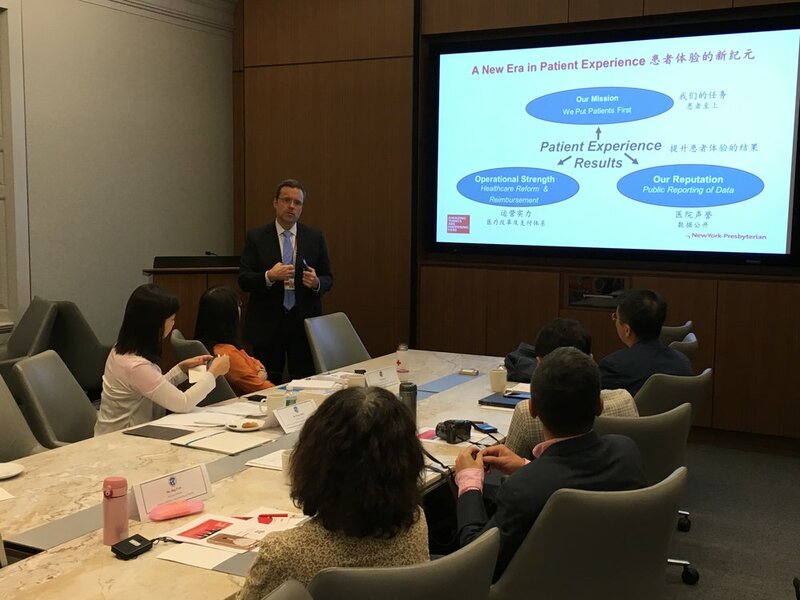 In his speech, Dr. Sonett gave a high appraisal to IHL’s Clinical Observation Program, and expressed the expectation on collaborating with more and more Chinese physicians to improve the quality of care in China. Click to download the flyer. On May 20th 2016, the first session of the “IHL Fireside Chats” Sino-U.S. Physicians Panel was held at Hammer Health Sciences Building, Columbia University Medical Center. Eight physician and technician panelists who came from different hospitals in China and the United Stated were invited to discuss on the hot health care topic: the doctor-patient relationship issue in China and the contributing factors. The panel was moderated by Mr. Da Liu, the Director of International Healthcare Leadership (IHL). In the meeting, the panelists exchanged their perspectives on the recent outrageous physician murders that happened in south China. Based on their practice experience, the panelists took a step further and reveal some of the systemic contributors, and possibilities to find out solutions. The discussion went for an hour and a half in an active and inspiring atmosphere. “The conflict between doctors and their patients exist in every single health care practice in the world. It takes integrated effort to solve the problem, and each of us can do something to make the situation better.” Dr. David P. Roye, President and CEO of International Healthcare Leadership, wrapped up at the end of the discussion. Over 40 audiences attended the event. The group came from Columbia University, New York-Presbyterian Hospital, Chinese hospitals, and many other institutions and organizations. At the end of the meeting, the audiences had the opportunity to interact with the IHL panelists on their questions of interest. 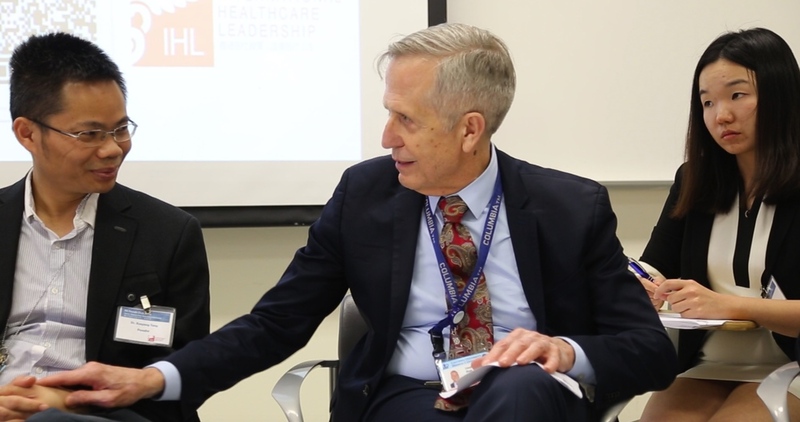 On December 1, 2014, the first delivery of IHL Executive Healthcare Leadership Program was launched at Columbia University Mailman School of Public Health in the city of New York. 24 hospital administrators and government officials from China visited U.S. and participated in the 2-week program. The program was designed to provide management tools for them to improve the healthcare infrastructure in China. The curriculum IHL developed cooperatively with Mailman School of Public Health covered topics in hospital management, healthcare economics, executive simulation, leadership building, and many other interested areas. Selected faculty members from Columbia University were invited to deliver the courses to the trainees. 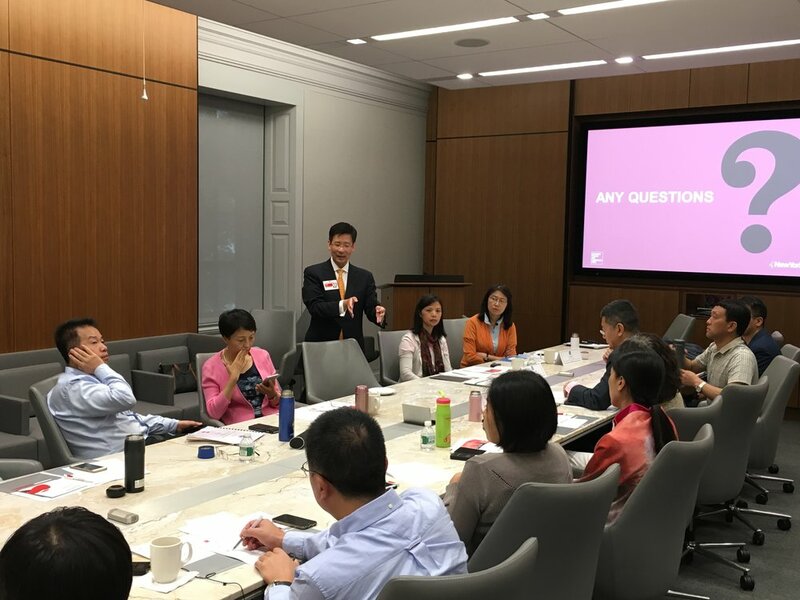 The program was highly evaluated by our executive alumni, and IHL is looking forward to help more and more Chinese health care administrators access the quality executive training resources in the United States. Find information, news and updates from International Healthcare Leadership. Sign up with your email address to receive news and updates from IHL. International Healthcare Leadership was founded at Columbia University Mailman School of Public Health. IHL is an independent non-profit organization developed to train Chinese healthcare professionals how to incorporate healthcare public policy into healthcare reform and hospital management.